Blown glass, patinated bronze, leather. 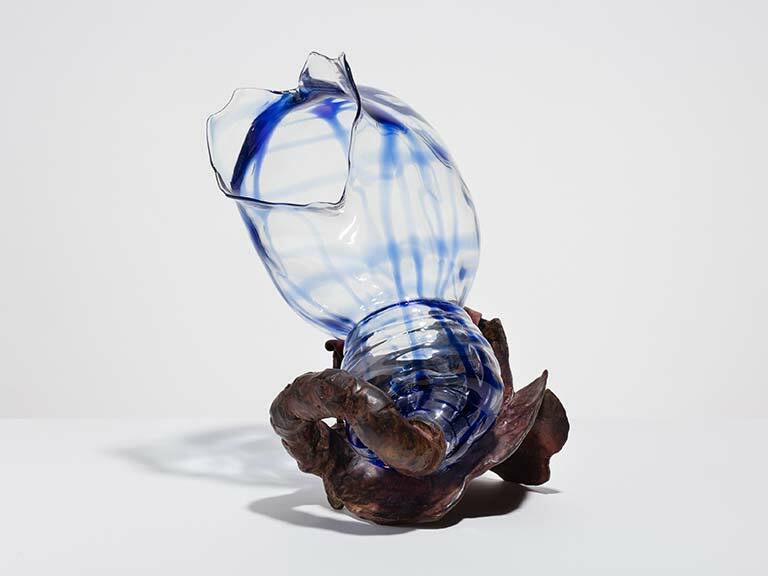 Lijn wanted to juxtapose two materials formed in fire: glass and bronze. Glass, fragile and transparent is like air or wind. It is ephemeral, and transient, whereas opaque bronze conveys a sense of permanence and strength. The title of this sculpture implies birth from the head. The word conception means both birth and idea, conceiving in the womb and in the mind.